One of the first things that you should do before starting a software project is set up a version control system (VCS) for your code. A version control system allows you to track changes for your code, concurrently maintain different versions (eg. production and development) and simplifies the task of merging and integrating contributions from multiple developers. One of the most popular options is Subversion, an open source, centralized version control system. Key features of Subversion include directory versioning, atomic commits, cheap branching and tagging and sophisticated conflict resolution. Subversion is easy to understand and use, and Subversion clients are available for all major operating systems. This guide walks you through the process of creating a Subversion repository for your code in the cloud using the Bitnami Subversion Stack. You have deployed the Bitnami Subversion Stack on a cloud server. You have a Subversion client installed. 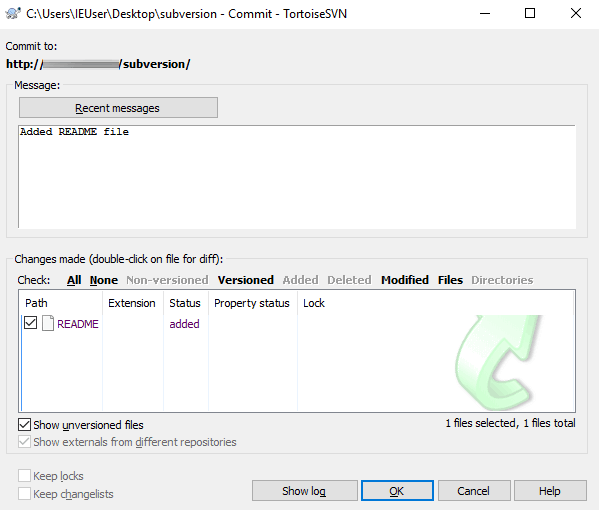 This guide provides instructions for TortoiseSVN on Windows and the command-line svn client on Linux and OS X. The first step is to log in to the Subversion server console using SSH and configure repository access. write allows complete read/write access to the repository. The next step is to initialize an empty Subversion repository. This repository will store your versioned source code. To do this, log in to the Subversion server console via SSH (if you are not already logged in) and execute the commands below. In this example, the repository directory is named myapp but you can choose a different name if you wish. 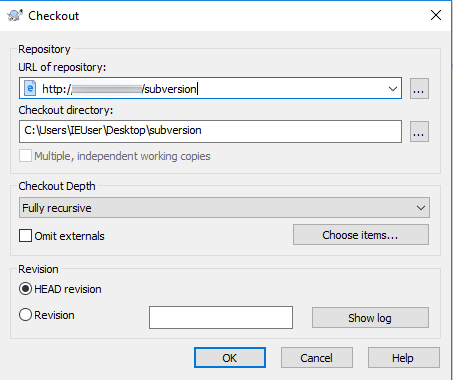 In the same file, configure the endpoint URL and path for your Subversion repository. You should also protect this URL from unauthorized access by configuring authentication for different users. The directives above will let you view the Subversion repository created in Step 2 by browsing to the URL http://SERVER-IP/subversion. Repository access will only be available to those users listed in the /opt/bitnami/repositories/users file and they will need to authenticate themselves before gaining access. The final step is to create the /opt/bitnami/repositories/users file and add a user account using the following command. You will be prompted to enter a password for the user account (in this example, the user account is named john). You should now be able to check out and commit changes to the Subversion repository over HTTP. The steps below are only indicative and will differ depending on which Subversion client you use. This section provides instructions for TortoiseSVN on Windows and the command-line svn client on Linux and OS X. Execute the following commands using the Subversion command-line client, svn, to check out the repository, add a new file to it and commit the changes back to the repository. Replace the USERNAME placeholder with one of the configured usernames from Step 3 and enter the corresponding password when prompted. $ svn commit -m "Added README file"
The new file will be committed to the repository. You should be able to view the new commit by browsing to http://SERVER-IP/subversion. Right-click within the directory you wish to use for the repository and select the “SVN Checkout” menu item. Enter the HTTP URL to the repository in the subsequent dialog, as shown below, and click “OK” to proceed. Add a new file to the repository and fill it with some test content. Right-click the file and select the “TortoiseSVN -> Add” menu option. This will add the file to the repository. Right-click the parent directory and select the “SVN Commit” menu item. Enter a commit message and click “OK”. The new file will be committed to the repository and you should see a success notification. You should also be able to view the new commit by browsing to http://SERVER-IP/subversion. TIP: For greater security, you should also consider enabling HTTPS access for the repository or enabling SSH access for the repository.